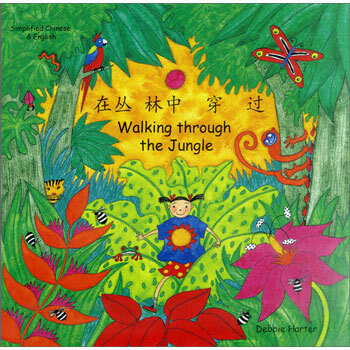 Bright and colourful illustrations accompany this dual-language edition of Walking Through the Jungle. 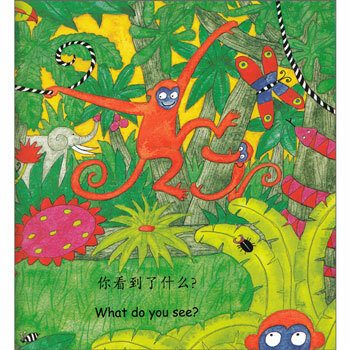 With the simple, repetitive text in both English and Chinese (simplified characters), the enchanting story will inspire both early readers and older learners who enjoy reading Chinese and English in parallel. 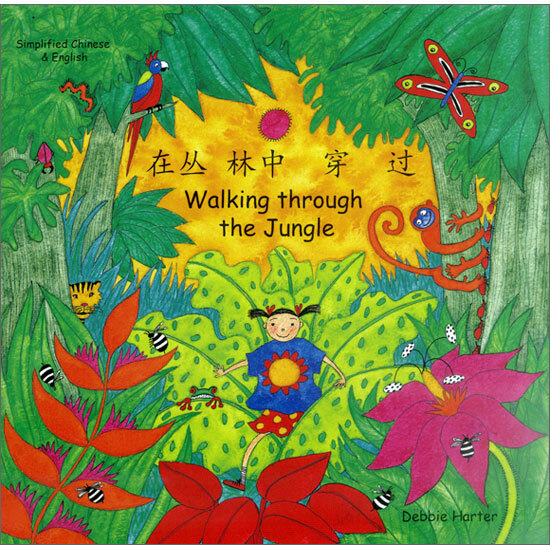 Walking Through the Jungle (Simplified Chinese - English) is a high-quality dual-language picture book, suitable both for children who are learning and reading Simplified Chinese Characters and English in parallel and those being introduced to Mandarin or English as a second language. The full text is featured in both English and Simplified Chinese Characters.